Time flies and now we are coming to an end towards of the Year 2017. How is 2017 for you? Satisfy with your sales and business performance? Would you like to have more? More Sales & More Business? Out of the 3 variants, some businesses did not realised that increasing the number of frequency a customer buys from you is much easier compared to the other two variant. If you have delivered what you promised to your customer previously (which i believe most of us here did), then making them buy again from you is definitely much much easier. Simply because during the whole process of delivering your services or products, you have successfully gain their trust and build a certain relationship with them. How to make your customer remember you? One of the most effective method of showing your preferred customer your care and that you remember them is to send them a gift during festive seasons. Everyone loves to receive gifts. Sending gifts to your customers and vendors is a great way to highlight your business’s identity and values. It reflects a level of generosity from you as well as your care towards them. Your small act of kindness will then make a major implication on your personality and brand, thus increases the likelihood of repeat business as well as increases number of referrals. Gifting is also a way for you to reach out and reconnect to your customer base, who you haven’t been in regular contact with, and most importantly, does not come across as sales-y. Now you are very lucky! Christmas is round the corner. Which means you can now have the opportunity to practice what you have learn. Make sure your gift is useful and brings happiness to your recipient. It could be simple things where they can enjoy with their family. This is because when they truly enjoy the gifts you gave, then only they will appreciate and remember you. Imagine if you were to give them a Pen, but your customer is going for a paperless culture in his company, then this gift might not be that useful for them. Worst, it might backfire and make your recipient feels that you do not understand them well. On the other hand, if say you are a real estate agent or you know your client is about to move house, then getting them a water filter might be a better gift for them. Premium does not mean it has to be something really really expensive that burns a hole in your pocket. However, it should be something that reflects the standard of your company. You may want to send your customer something that looks premium and of good quality. Best if you could get something that suits their lifestyle. The last things that you would want to happen is when the next time you see your customer, he/she complains that your gift was faulty. Personalised does not mean the gift has to be customised. However, we would highly recommend you to add some personal touch to it. Write a personal note to wish them well on this occasion as well as a sentence or two that is appropriate to your relationship. Now, this make take you some time. However, trust us, this is a good investment for you because personalised note goes a long way. Now, let&apos;s look back at the Sales Formula shared above. We first start off by learning that maintaining a good relationship with your customer (or make them remember you) helps to increase repeat orders, yes? However, looking back at the bigger picture, did you discover something more? Did you realised that by maintaining a good relationship with your customer, you have now not only increase the number of frequency a customer buys from you? Instead, this might also help you to increase you number of customers ( them referring their friends to you) as well as increase their spending in your business! 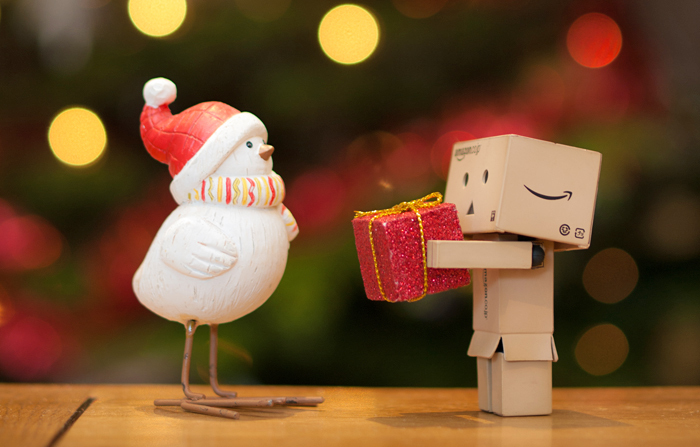 So dear friends who are reading this article, do you now feel excited that by just showing a small act of kindness by sending gifts to your customers and vendors goes a long way for you and your business? Go Forth & Increase Your Sales! Wishing you an amazing journey ahead in your venture & career!